My girls and I have been drinking more tea lately, and sometimes for an after school treat, I'll take them to Tao of Tea to try new teas at one of my favorite teahouses in Portland. Opening in 1997, it was one of the first places I used to go with friends when I moved into the Hawthorne house in 1997, and has been a favorite of mine ever since. You could say I've been going there for over twenty years now! I personally love almost any tea, my favorites being brown rice tea from Japan called genmaicha and I rarely turn down a steaming cup of Masala Chai tea. 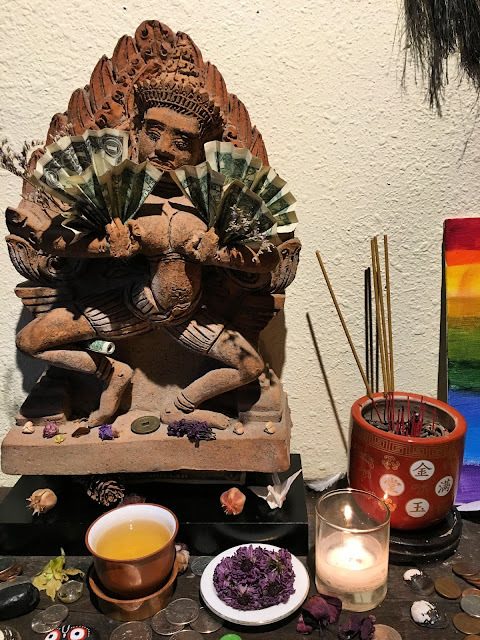 I like almost any black or herbal tea, gravitating to hibiscus, licorice, nettle, red clover, red raspberry, and bergomot. Some of those I have listed are used to boost fertility, so I have been drinking them for the better part of this past year, and I enjoy some of these iced as well. Last year, to further boost my fertility, I would add false unicorn or Dong quai tinctures to my teas, also. 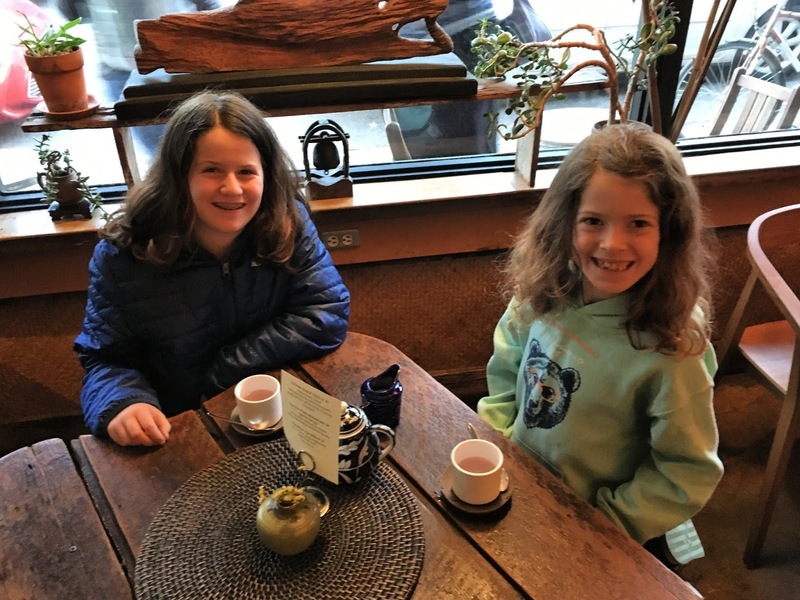 Juniper and Amelia enjoy lavender tea at Tao of Tea in Portland, Oregon, after school. 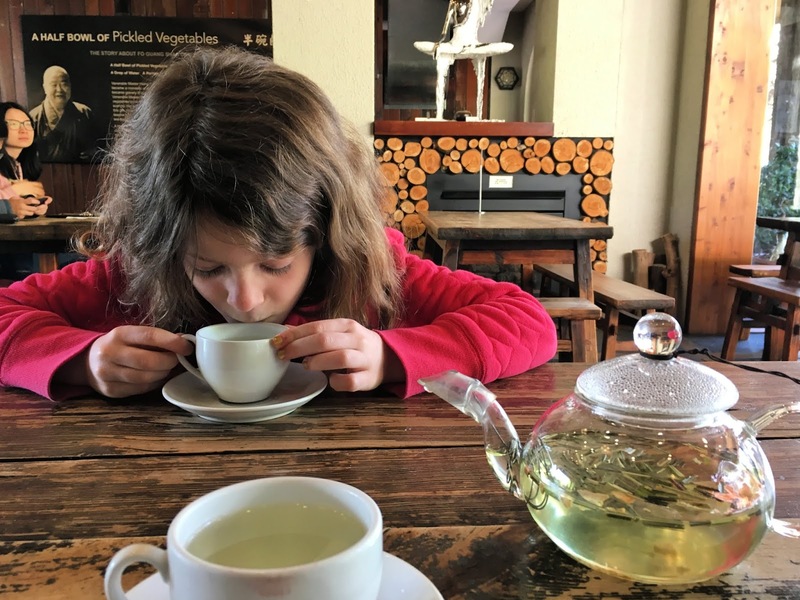 The girls have been choosing flowery teas, and both agree they like lavender tea. Both add a little milk to their teas. 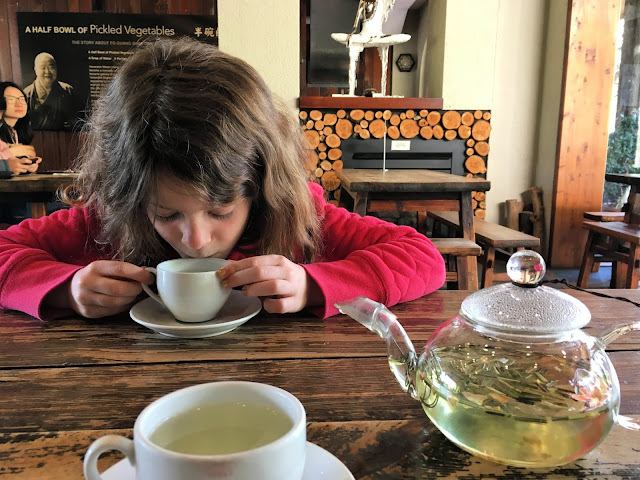 They enjoy the experience of the teahouse as much as they presentation, the Tao of Tea serving their teas in a variety of teaware, mostly ceramic, stoneware, clay, or gongfu teapots.